www.polishmysmile.co.uk Why opt for Poland when it comes to dental treatment? 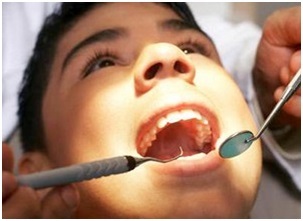 Why opt for Poland when it comes to dental treatment? There are many countries that offer a variety of medical and dental treatments to British people willing and able to pay, with Poland becoming a popular destination. But why? As a country, it offers a high level of quality in both dental treatment and cosmetic dentistry too. Within its well regulated health system, Polish dentists use the latest and most up-to-date dental treatment techniques and equipment; the customer service is also second to none (why not read what some of our previous customers have said at http://www.polishmysmile.co.uk/dentists-abroad-reviews). But there is an added attraction – compared to the fees and costs charged in the UK, you can receive the exact same treatment for far less. In fact, according to the International Medical Journal, an estimate 70,000 people will travel to Poland for treatment, making it the top dental holiday destination (these figures are estimates only Poland became a member state of the European Union in 2004, with the delightful city of Krakow recognised as a UNESCO Cultural World Heritage site. It is thought that customers can save around 50 – 70% on private dentistry fees in Krakow than if they paid for the same treatment in the UK. Krakow, a delightful city to spend a few days in - and why not opt for dental treatment too? Dental implants, for example, are becoming a popular form of permanent treatment, with titanium implants in the UK costing around £2,000 each; in Poland the cost can be as low as £500 - £600 each. What is becoming popular is the option of having dental work completed, followed by a day or two looking around a city or area – and Krakow has a lot to offer. The second largest city in Poland, Krakow sits of the banks of the Vistula River, and is steeped in history being the second oldest city in the country, dating back to the 7th Century. Once the capital city too back in the 11th century, it has a tradition of being the leading centre for academic, cultural and artistic life. It started as a small hamlet, soon thriving and developing into a busy trading centre and this importance has never left its streets. Throughout the 20th century, it academic base began to grown and was soon hailed as the Polish centre of culturalism, where both Polish residents and academics flocked, as well as European artisans. The city boundaries itself are home to 760,000 people, but around its outskirts live a population of some 8 million people – estimated to live within 62 miles of the main square. Poland, as we know, has a turbulent interjection in its past; invaded by Nazi German forces at the start of the Second World War, it witnessed unimaginable horrors. But it was not a city that rested on its laurels; fighting back after the war, Krakow, as the rest of Poland, is once again carving itself out as being a magnificent place to live, work and visit. Its dental treatment options and great dental clinics are no exception – and it is no wonder that British patients are flocking here. Why opt for treatment abroad – and in Poland? 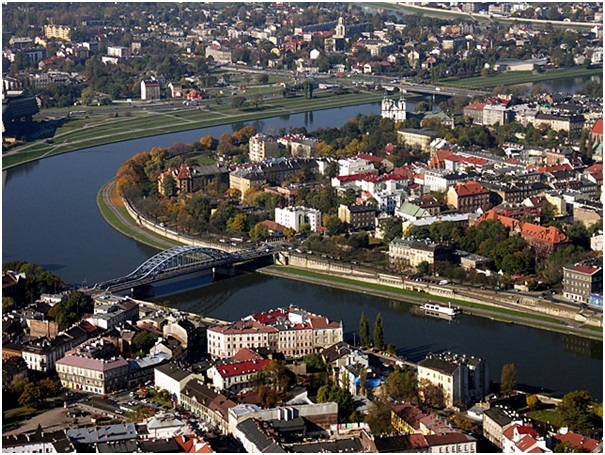 • Only a short flight away, Poland is accessible to the majority of people in the UK and hence, complicated treatment that may mean return visits is possible to Krakow. Thinking of opting for treatment abroad? You can research clinics online, and make your appointment yourself, as well as booking flights etc., however, with a company such as us we can take all the hassle of finding a great clinic away as we have already found one!